(CBS News) In the wake of a mass shooting in a suburban Denver movie theater, New York City Mayor Michael Bloomberg is calling on President Obama and Mitt Romney to offer up more than "soothing words" and talk about how they will address gun-related violence. "Maybe it's time that the two people who want to be president of the United States stand up and tell us what they are going to do about it, because this is obviously a problem across the country." 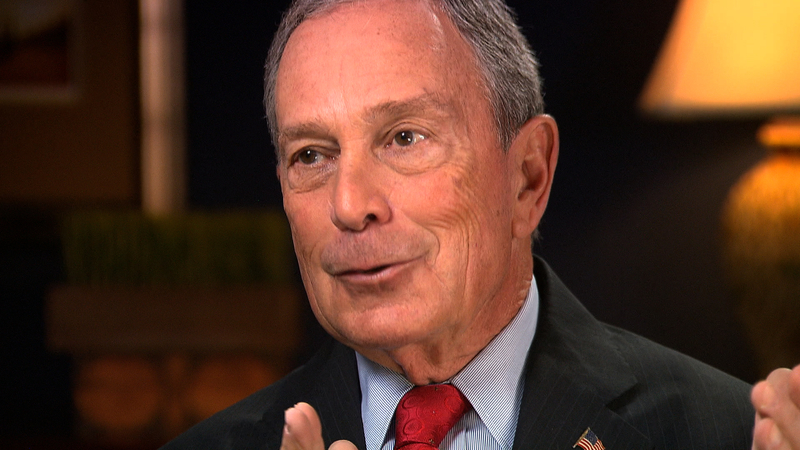 Bloomberg said in an interview on WOR News Talk Radio 710 in New York City. "I mean, there are so many murders with guns every day, it's just got to stop," he continued. "And instead of the two people - President Obama and Governor Romney - talking in broad things about they want to make the world a better place, okay, tell us how. And this is a real problem. No matter where you stand on the Second Amendment, no matter where you stand on guns, we have a right to hear from both of them concretely, not just in generalities - specifically what are they going to do about guns?" Bloomberg's remarks came after the mass shooting in Aurora, Colorado that has left at least 12 people dead and dozens more injured. A gas mask-wearing gunman opened fire at about 12:30 a.m. Friday morning at the Century 16 theaters at the Aurora Mall, where the latest Batman movie "The Dark Knight Rises" was playing. The New York mayor is an outspoken advocate for gun control who co-chairs the organization Mayors Against Illegal Guns and is part of the "Second Chance on Shoot First" campaign. He has spoken out about gun control after other high-profile, tragic shooting events. "All the statistics show that if you, for example, have a gun at home, you are something like 22 times more likely to be killed by a gun," Bloomberg said on CBS This Morning on March 29, 2012 in response to the February 26 shooting of Florida teen Trayvon Martin, which sparked national outcry. Second Chance on Shoot First used the incident to produce two promotional videos on gun control -- a Mother's Day video featuring Martin's mother and a Father's Day video featuring Martin's dad. In January of 2011, after the mass shooting in Tucson, Ariz., that killed several people and injured others, including Rep. Gabrielle Giffords, Bloomberg and other members of Mayors Against Illegal Guns laid out a plan of action they said could have prevented the tragedy. In response to Friday's mass shooting, President Obama has canceled a Winter Park, Florida campaign event. He will address the tragedy in shortened remarks in Ft. Myers, Florida. Romney also plans to address the incident at a campaign stop in New Hampshire.